Is your energy bill set to soar before the end of summer? A total of 54 fixed rate plans are set to finish before the new school year starts, and letting your current deal lapse means your provider will place you on a more expensive standard tariff – and this could see your energy bills soar by up to £200. Here’s why you need to start comparing deals now and make the switch before your existing fixed rate expires. 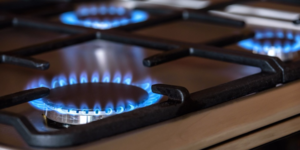 The bad news is that energy prices across the board are on the rise compared to this time last year, with the average price of a fixed-rate tariff jumping significantly in the last 12 months. The price of some of the cheapest deals have risen sharply since October last year, when the government announced plans to cap energy bills for customers on standard tariffs – SSE initiated the biggest price hike, it’s 40% increase between October 2016 and May 2017 saw bills leap from £782 to £1,072, based on average household usage. The good news is that the gap between the best deals and standard tariffs is narrowing, with the average cheapest deal offered by the ‘Big Six’ coming in at just £137 less than the cost of a standard tariff, compared with £226 in October. And, alongside making sure both you and your home are energy efficient, switching to a cheaper deal is still the most effective way to save money on your annual energy bills. If you’ve never switched energy before, it’s a lot easier than you might imagine, just grab a recent energy bill and head to UKPower and enter your postcode to instantly compare the best deals currently on offer. For the most accurate comparison results, take a look at your latest bill and input the necessary information about your household’s energy usage. Don’t worry if you don’t have those details to hand though, you can still run a comparison. Then simply review your options, pick a tariff that suits and confirm your switch online. And that’s it, the switch should take 17 days – that’s three days for the switch, followed by a 14 day cooling off period. If you’re worried about having to pay exit charges for ending your current deal early, bear in mind it’s possible to switch without paying any fees up to 45 days before your deal ends. And remember, switching supplier doesn’t involve any drilling at your property, or new pipework being installed – your gas and electricity will be still be supplied through the existing pipes and cables, you’ll just be billed by a different provider.